One of the ongoing challenges in designing learning is moving beyond "checking the box" of simply assigning and completing required training topics. When content is more relevant and interactive for learners, they're likely to feel more engaged, which in turn can drive up important outcomes like knowledge retention, workplace safety, and employee retention. With modern technology making quality training design much more accessible, learning designers should consider interactive video as a highly engaging delivery option. In this session, Alex Cook will lead a discussion of interactive video. We'll cover definitions of interactive video and its sub-types, explore how interactive video matches up with a range of learning objectives and business goals, and explore how interactive video can help you meet your training goals. 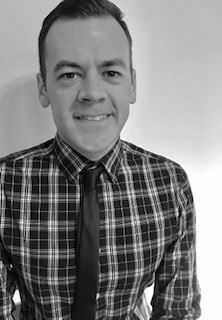 Alex Cook has been working in employee development for the past decade, with the bulk of the experience coming as a training department manager for a large nonprofit healthcare organization in Portland, Oregon. Since moving to North Carolina in early 2018, Alex has been working as a consultant and instructional design contractor with a range of industries, including technology, transportation, energy, legal, and social services.